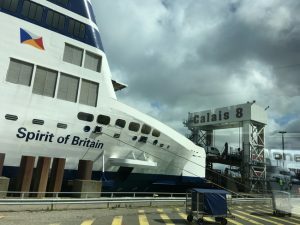 Ferries from London to Paris are way beyond what we thought. 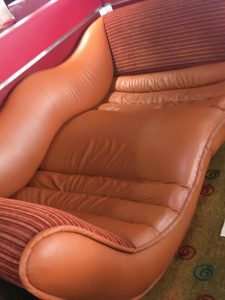 There are different restaurants, shops, arcade, and quite a number of types of seating including couches, arm chairs, banquettes and this lounger, our favorite. Two people can lie really really comfortably. 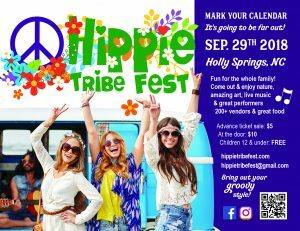 Hippie Tribe Fest is where the Bohemians roam. 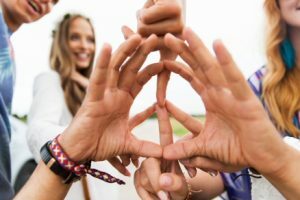 Created to bring community together, and to bring out the fun and free spirit in all of us; to create an experience for attendees to enjoy nature, to see incredible works of art, natural products, hand-made, Bohemian and Fair-Trade, amazing creations from local artisans and to enjoy performances by talented musicians. 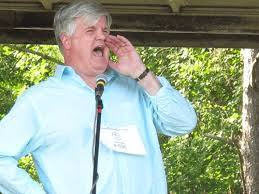 At the main stage, there will be six hours of top notch musical artists and performers. Gifted buskers/solo artists will be performing throughout the festival and at the Feeling Groovy tent. At the Flower Child tent you will find an array of children activities and fun for the whole family. Throughout the Hippie Tribe festival you can discover some of the most talented body artists including Henna, Face Painting. One of the highlights featured is a one hour Drum Circle, where drummers, dancers and hoopers are welcome and encouraged to participate, sharing the energy and heartbeat of Mother Earth. Delicious food available from local food vendors and food trucks. Attendees are encouraged to bring out their Hippie style, folding lawn chairs, blankets, drums and other instruments, as well as an umbrella; this is a rain or shine event. All parking will be on site and FREE. We all know that not all hotels measure-up the same, and there is good reason why the Courtyard Newark at the University of Delaware is the winner of numerous Trip Advisor and Marriott awards for excellence in guest service, as evaluated by direct guest feedback. With over 250 years of hospitality experience on the management team, Bill Sullivan and his award winning crew do an amazing job exceeding your expectations. Enjoy modern accommodations, state-of-the-art technology, and impeccable service at the four-story, 126-room Courtyard Newark-University of Delaware. 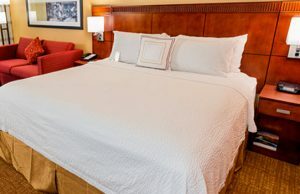 The hotel offers all of the comforts of home for your visit – whether you’re in the area for business, or to visit the campus of the University of Delaware, the hotel places you in the center of the action with easy access to the Daniel S. Frawley Stadium, Market Street Mall, Christiana Mall and the Financial District. Nestle into the comfortable accommodations in the spacious rooms and suites, equipped with a well-lit work desk and ergonomic chair, free high-speed Wi-Fi, flat-screen HDTVs, mini-fridges, and you will sleep soundly on the comfy pillow-top mattresses. The hotel works closely with the University Hospitality Program, helping to teach future hoteliers, and has always employed hearing-impaired staff. It’s not only disability friendly, it is pet friendly too – including small pet yard outside. 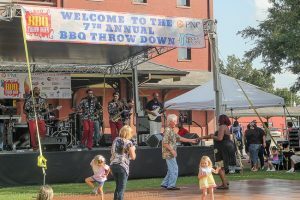 The 10th Annual Eastern Carolina BBQ Throwdown is a professional cooking competition based on KCBS categories (chicken, pork ribs, pork & beef brisket). Awards include Grand Champion, Reserved Grand Champion, and People’s Choice Award. Cash awards, trophies and plaques awarded up to 10th place in each category. There will be 58 opportunities to win. The Friday night Kick Off Party includes a Kick Off Concert featuring Who’s Bad- The Ultimate Michael Jackson tribute band held in downtown Rocky Mount. 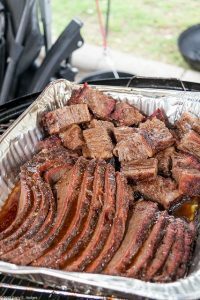 KCBS representatives will be present and competition judging starts at noon on Saturday, October 14, using the blind judging technique. This is a party you don’t want to miss, with plenty of delicious food, beverages, and great entertainment. Bring your lawn chairs or blankets and come have some fun. Ready for some homemade ice cream? 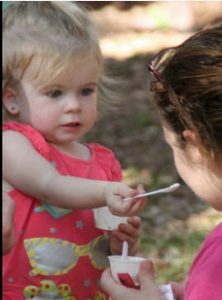 Lucky you, it’s that time again for the annual Ice Cream Churn-Off at Ashantilly Center. What a tasty idea, combining everyone’s favorite dessert with a fundraiser benefiting the nonprofit Ashantilly Center. Competitors will vie for awards for a people’s choice, best individual ice cream and the best ice cream from a business or organization. 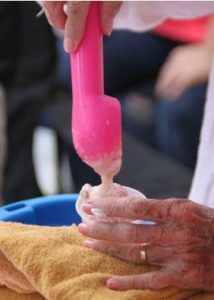 The competition is opened to everyone, adults and youth alike, so churners bring your churn and your primo recipe – but no raw eggs allowed, and Ashantilly will provide ice and salt. If consuming the coveted ice cream is more your speed, you are welcome to bring your own chairs and find a shady spot to enjoy the frozen dessert and the live music. A $5 donation gets samplers two tastings, and ice cream lovers can purchase additional samples – 3/$5. Ice cream doesn’t get fresher than this! There’s also Free lemonade and popcorn and great raffle prizes and live music. Celebrate Canada’s 150th birthday by visiting the our home and native land. Parks Canada is offering all Canadians a FREE 2017 Discovery Pass so there will be no cost to visit any of their sites. You have the option of visiting 148 locations everywhere in the country. You probably think they’re all about national parks but Parks Canada is way more than that – their mandate includes marine conservation areas and national historic sites. You could visit the wreck of the HMS Erebus and HMS Terror in Nunavut, view Canada’s highest peak, Mount Logan in Kluane National park, ice fields in Jasper, our country’s birthplace within the fortifications of Quebec, Alexander Graham Bell’s inventions, walk amongst the flower pot rocks on the ocean floor in the Bay of Fundy, Haida Heritage sites, or even Anne of Green Gables‘ writer, Lucy Maude Montgomery’s house. Here’s a challenge: See how many of their iconic red Adironack chairs you can find and Instagram them. 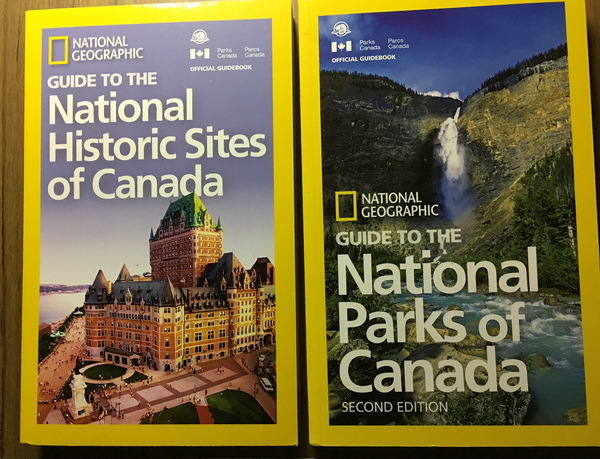 If you want to drool – and – plan ahead, get copies of the National Geographic books Guide to the National Parks of Canada and Guide to the National Historic Sites of Canada. 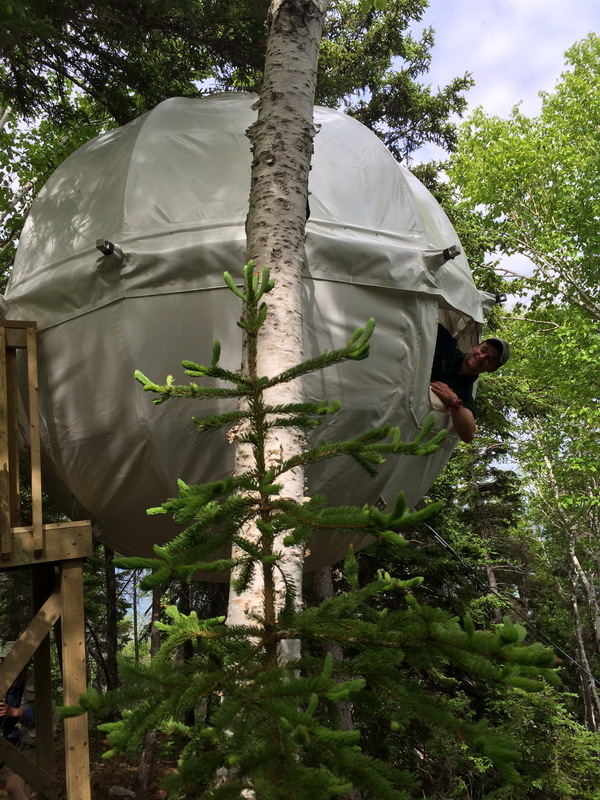 Yes, you can camp, but you can also reserve a yurt, a goutte d’Ô which resembles a water droplet, a micro cube, large modern houses called oTENTiks or be one of the first to sleep in a hanging Cocoon in Cape Breton. What started out as a family get together has turned into a great community event. The 12th annual Uncle Gary’s Rock & Rib Fest is a labor of love. 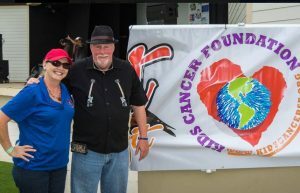 Uncle Gary’s lost his 3-year-old daughter 14 years ago to cancer and Started this BBQ event in her honor and to benefit the Kids Cancer Foundation. This feel good festival has fun for the whole family including: great live music featuring three live bands throughout the day, dancing, bounce houses, kid’s Fun-zone, face painting, balloon artist, playgrounds, grab bags, games and prizes for the kids and adults, raffles, auction, Pet Rescue Puppies petting zone, princesses and super heroes. 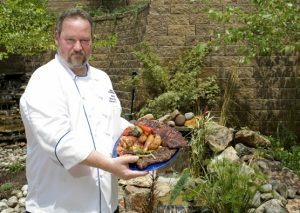 Don’t forget the delectable BBQ foods: yummy baby back ribs, smoked pork tenderloins, burgers, chicken, hot dogs, side dishes and cold beverages. 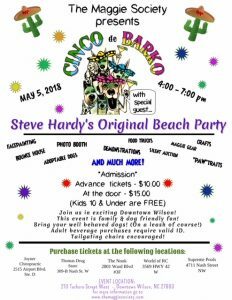 Bring your lawn chairs, blankets, sunblock and kids to this admission free event that is so much more than just a chance to have fun with the family, eat ribs and barbecue and listen to local bands. All proceeds will be donated to the Royal Palm Beach-based Kids Cancer Foundation. This is a special Courtyard, located on the grounds of the University of Delaware, so you can take advantage of University fun. Check to see if you can catch a game or something exciting going on on the campus. 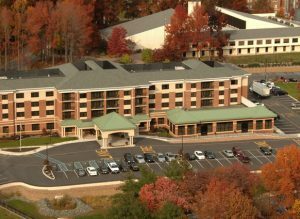 The hotel works closely with the University Hospitality Program, helping to teach future hoteliers, and has always employed hearing-impaired staff. 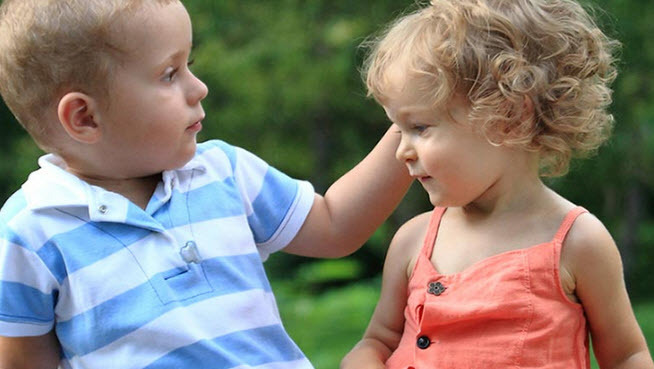 It’s not only disability friendly, it is pet friendly too – including small pet yard outside. There is good reason why this hotel is the winner of numerous Trip Advisor and Marriott awards for excellence in guest service, as evaluated by direct guest feedback. With over 250 years of hospitality experience on the management team, Bill Sullivan and his award winning crew do an amazing job exceeding your expectations. Enjoy modern accommodations, state-of-the-art technology, and impeccable service at the four-story, 126-room Courtyard Newark-University of Delaware. 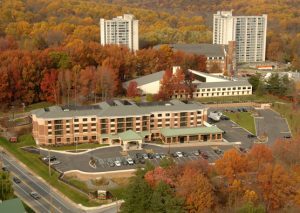 The hotel offers all of the comforts of home for your visit – whether you’re in the area for business, or to visit the campus of the University of Delaware. Make yourself at home in the spacious, pleasingly designed rooms and suites, equipped with a well-lit work desk and ergonomic chair, free high-speed Wi-Fi, flat-screen HDTVs, mini-fridges, and comfy pillowtop mattresses. For an interesting dining experience, ask them about the unique student restaurant on the campus – and the student ice cream parlor too. It is truly farm-to-table, since other students learning about the dairy industry care for the cows, milk them and prepare the cream for the ice cream. Sample healthy American fare and award-winning crab cakes at The Bistro, which also serves Starbucks® coffee. Squeeze in a workout in the fully-equipped fitness center, or take a swim in the indoor pool. Book today, this hotel won’t disappoint! 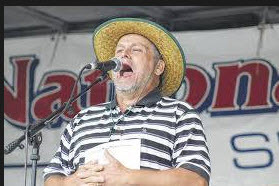 Learn a lost art from people who have been holding on to hollerin’ for over 47 years keeping the North Carolina staple “Hollerin’” alive at the Worldwide Hollerin’ contest on October 8th. “Hollerin’,” a traditional form of communication used in rural areas to convey long-distance messages, is considered by some to be the earliest form of communication between humans. “Hollers” exist for virtually any communicative purpose imaginable. The hollers featured at the World Wide Hollerin’ festival fall into one of these four categories: distress, functional, communicative or pleasure. Enjoy a wide variety of fun activities and entertainment, including: the Hollerin’ Contest, Paradise Acres BBQ & Chicken, assorted food vendors, live music, crafts and Children’s activities. 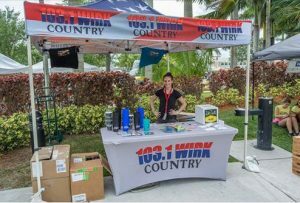 Visitors are invited to bring their chairs, blankets and coolers and enjoy the contest on the 12-acre Paradise Acres facility. Eighty percent of the proceeds from the event are donated to Wags4Tags.org , an organization that matches trained shelter dogs with veterans suffering from psychological and emotional injuries. 44 mySQL queries executed in 0.547 seconds.